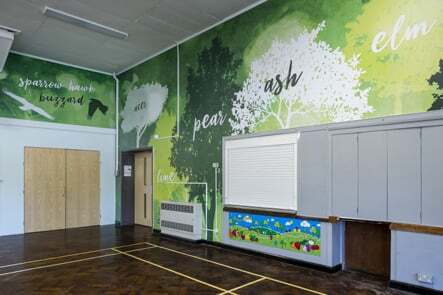 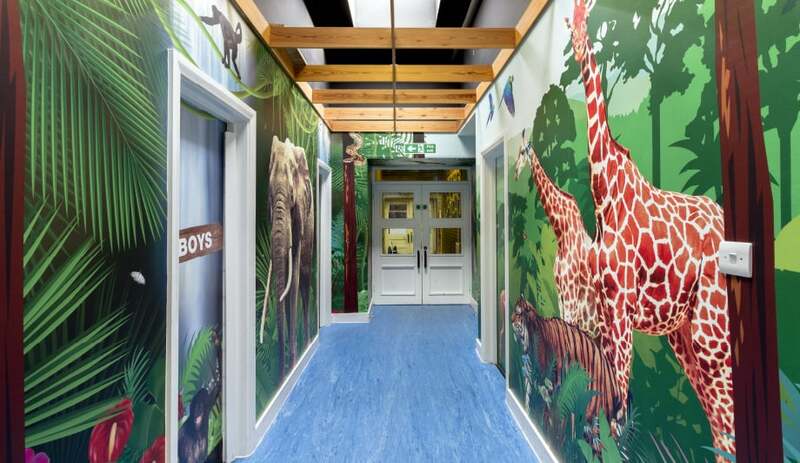 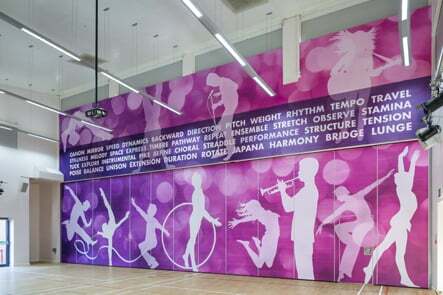 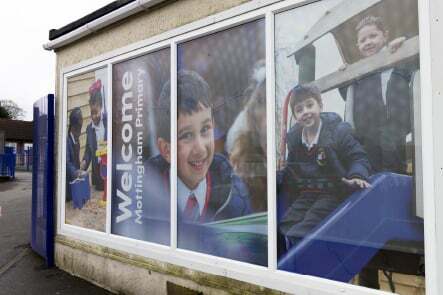 Mottingham Primary School had a busy corridor that was plain and uninspiring. 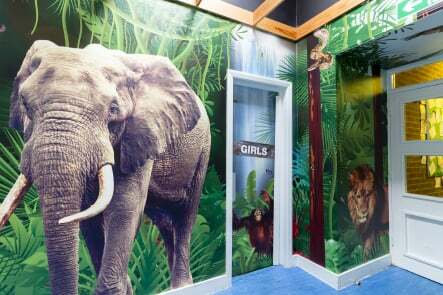 We created a wrap-around theme that gives the impression of being immersed in the middle of a jungle. 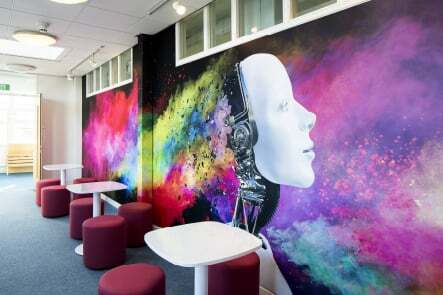 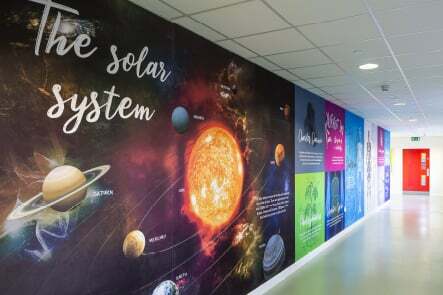 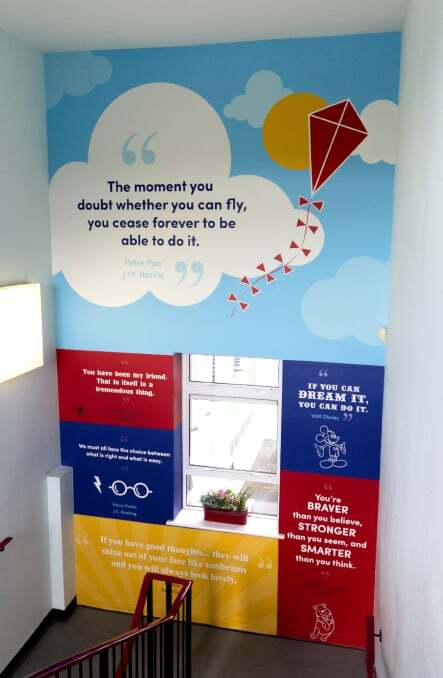 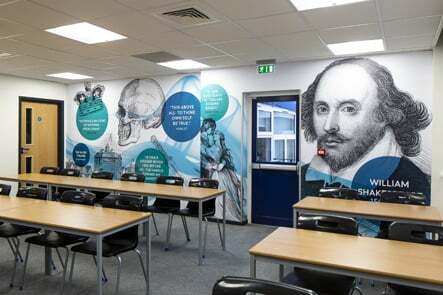 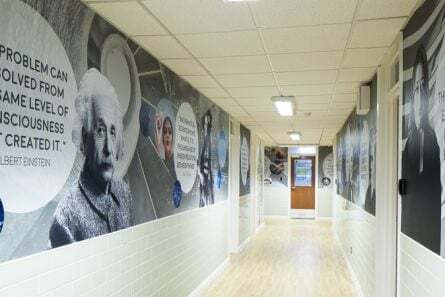 We also transformed two staircases, one with a feature wall of inspirational quotes, another with a timeline picking out key dates from history. 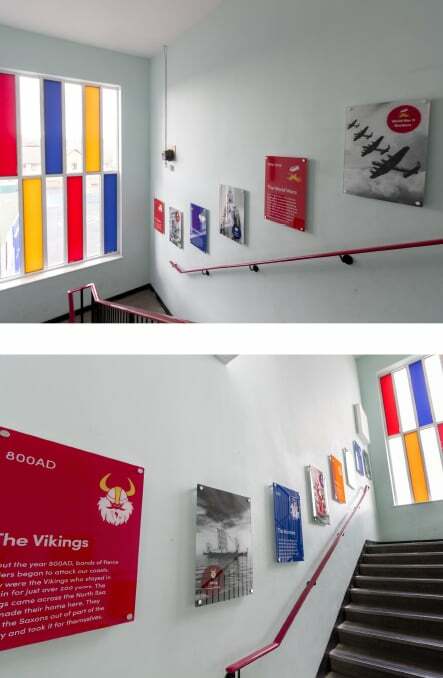 Both staircases featured the school colours. 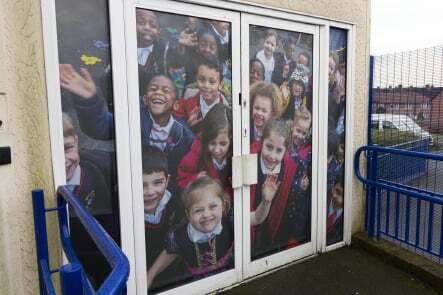 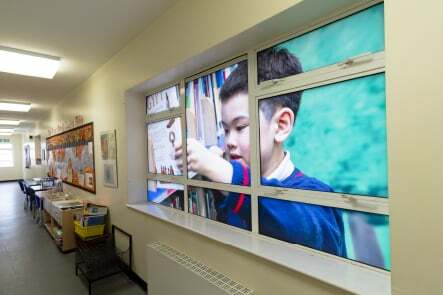 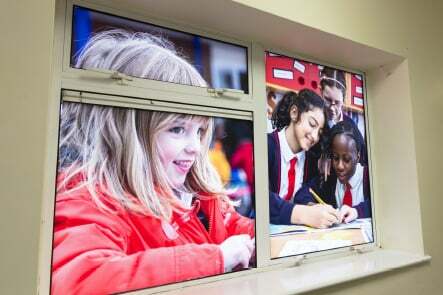 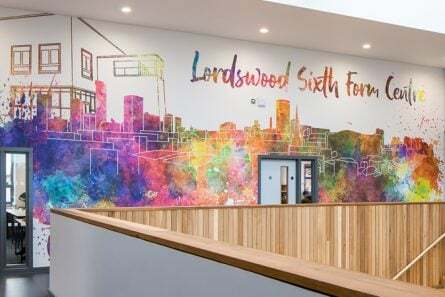 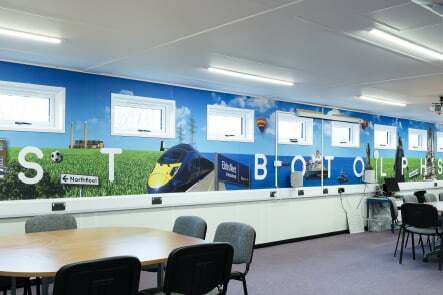 To complete the update to the school’s environment, we installed photographic window graphics of the pupils, including a welcome window for the front of the school building.